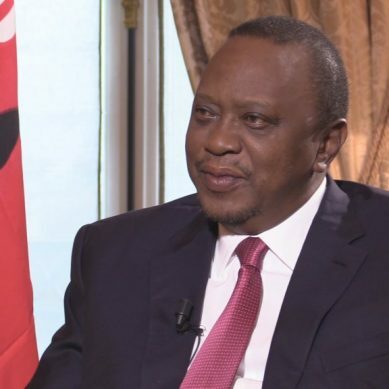 As Uhuru Kenyatta gathers momentum with key strategists laying out their masterplans, the issue of Mombasa governor Hassan Joho being linked to an international drug cartel has surfaced once again. 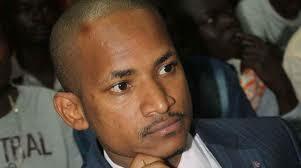 The vocal sharp shooting Embakasi East MP Babu Owino surprised many when he called a press conference to defend Joho against the claims together with MP Abdulswamad Nassir. 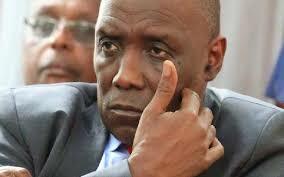 Babu claimed pro-deputy president William Ruto’s allies were behind the move. 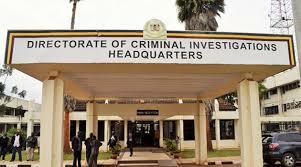 The MP came out to defend Joho after a poster said to originate from the Interpol circulated in the social media claiming America not CIA had issued an arrest warrant for Joho after the Akasha family members currently held in US prison linked him to the illicit trade. 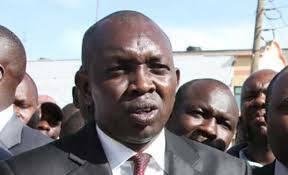 The MPs linked MP Oscar Sudi as being what they termed propaganda. 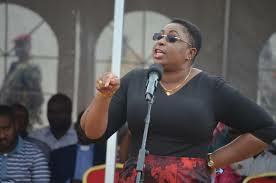 Apart from Sudi, Malindi MP Aisha Jumwa, who had accused Joho for allegedly giving youth at the Coast hard drugs name was also mentioned. “I’m here to warn some MPs who have been spreading false information on Governor Joho who is the ODM deputy party leader. 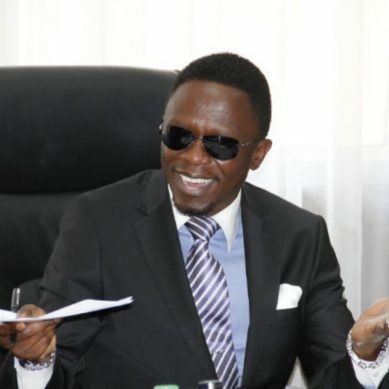 The following MPs headed by Governor Sang, followed by Oscar Sudi, Aisha Jumwa should desist from spreading information which is frivolous,” Ababu said. 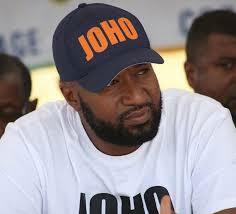 Jumwa has for years been close to Joho until recently when the lawmaker was kicked out of ODM party. 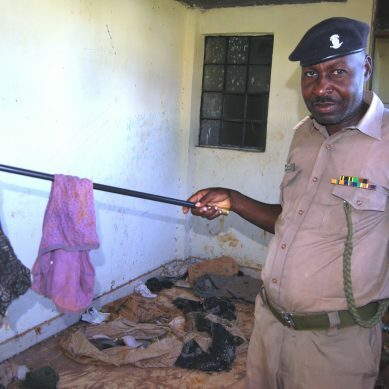 Jumwa while speaking at Msabaha in Malindi said Joho has been giving drugs to youth so as to cause “uhasama ndani ya Malindi” (cause mayhem in Malindi). 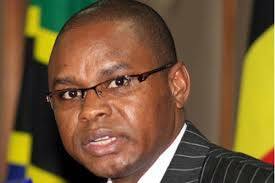 She made comparison between Kilifi governor Amason Kingi and Joho saying Kingi is a leader who deserve respect unlike Joho who goes around “akibweka bweka” (barking), and uses youth wrongly after giving them drugs”. Babu said the MP should continue marketing her Kiuno party ahead of 2022. In August 2018, Kapseret MP also raised the same allegations on Joho. He said Joho should not talk about leadership of the country or corruption until he stops drug business at the Coast. 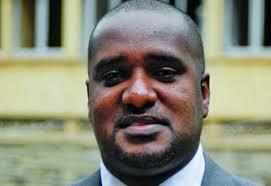 Owino told Sudi to concentrate on building tanga tanga as Joho embarks on building bridges. The current war in Coast politics has to do with the linking of Joho to the woes facing Msambweni MP Suleiman Dori and Jumwa in ODM, regional leaders have said. ODM officials in Kwale led by former Matuga MP Hassan Mwanyora have come to defend Joho over their expulsion from the party. 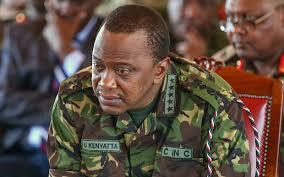 Jumwa and Dori are facing disciplinary action for associating themselves with deputy president. 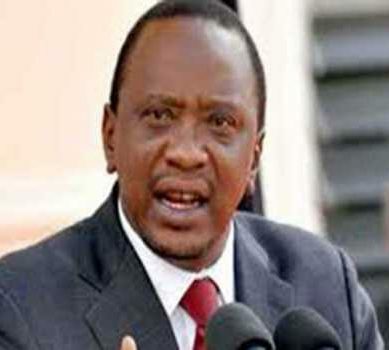 However, in a post on Facebook, Sudi accused a section of ODM leaders of selectively embracing the handshake between Uhuru Kenyatta and Raila. “We have always supported the handshake and the Building Bridges Initiative…However, some section of leaders from ODM have exhibited selective embrace and have further confirmed this by launching scathing attacks towards the deputy president. We cannot allow the deputy president to be turned into a daily punching bag by some few crooks and dishonest leaders,” Sudi posted. Sudi also hit out at Owino for coming to the defence of the Mombasa governor after they linked him to drug trafficking. 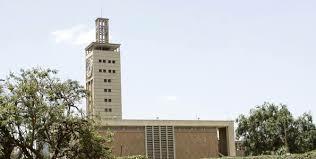 Sudi claimed that his Embakasi East counterpart was also involved in drugs during his reign at the University of Nairobi where he was a student leader for a long period. “We are also aware that Babu Owino was a close associate of Joho at the helm of rampant drug business. Babu being a student leader, was a peddler in charge of illicit drug operations in University of Nairobi and its environs. 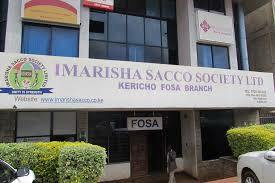 I challenge anyone to inquire this from UoN and you will be shocked,” added Sudi. The politics in Coast region is slowly fueling the differences between the numerically superior Mijikenda community versus the influential Swahili and Arab communities. The DP is capitalising on the issue to win on his side the Mijikenda vote aiming to bag the lion’s share of their votes in 2022. To press his unification message to the Mijikenda people and their leaders, Ruto has focused on Kilifi and Kwale the home of Giriama, Digo, Duruma, Rabai, Chonyi, Kambe, Ribe, Jibana and Kauma. The communities due to poverty and poor education standards have failed to make an impact in regional and national politics and instead, they rely on Mombasa governor Joho for political directions, thanks to money factor. 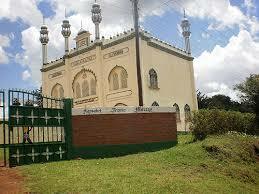 Joho comes from the minority Swahili community. The DP’s message has been that the Mijikenda have been neglected not only by previous regimes but also by the ODM party to which they have overwhelmingly voted for and it is time they reconsidered their support for the orange party. 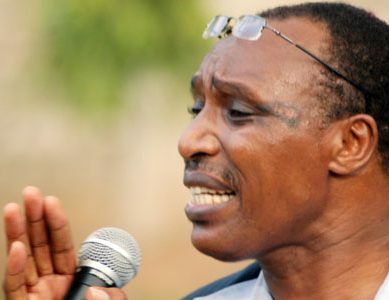 Analysts say Mijikenda can sway coastal and national politics if they voted as a bloc. 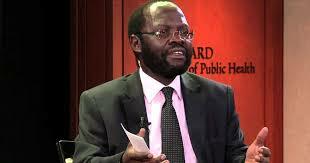 Ruto strategists are using ODM power wars to enter the opposition zone. The party officially expelled Jumwa and Dori from the party. In a letter signed by the secretary general Edwin Sifuna, NEC adopted the recommendation by the disciplinary committee to have Jumwa and Dori expelled from the party. 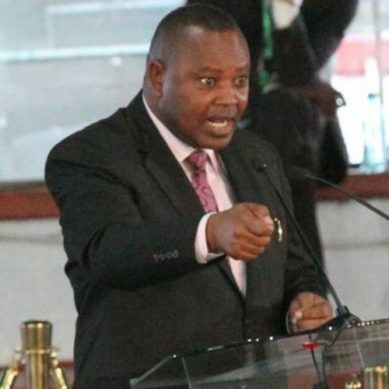 They recommended that the two be dewhipped from all parliamentary committees they are serving in the national assembly with immediate effect and directed the minority whip to move with speed to make the communication to the speaker, Justin Muturi. 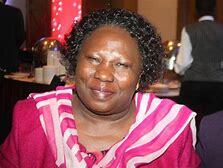 Kwale woman representative Zuleikha Juma backs their expulsion.